Jacob can control his teachers… with his mind! No matter how hard Jacob tries to be good, he just keeps getting into trouble. So when he discovers his amazing super power, he decides to use it to become a super criminal. But that doesn't go according to plan either. A fast funny adventure with some unexpected twists. Super Freak was shortlisted for the 2006 NZ Post Children and Young Adult's Book Awards in the Junior Fiction category. Super Freak was selected as one of the top six books of 2005 for young adults by the NZ Listener. The other books included "Harry Potter and the Half Blood Prince" by JK Rowling, and "Kaitangata Twitch" by Margaret Mahy. A boy called Jacob gets the power to put thought into people's minds. He finds lots of good uses for this and starts messing around with the minds of his teachers, and the school bullies! WHAT DID YOU LIKE ABOUT THE BOOK? The plot was done very well and also this book is kind of connected to the book "The Real Thing" which is by the same author. WHAT DIDN'T YOU LIKE ABOUT THE BOOK? The book was so great there were no downsides at all! WHO WAS YOUR FAVOURITE CHARACTER IN THE BOOK? Mrs Blouchner (Jacob's teacher), because she ends up writing 'knickers' on the board in French class because Jacob put the thought in her mind. That was the funniest part. I think it would appeal to people about 8-14 years old. The storyline's easy to follow and the main characters are around this age group. It does have a bit of mild swearing. Also people who like a lot of different things happening in their stories would like it. With an inter-textual nod to the author's first book Henry and the Flea (there are occasional references to Daniel playing for the Warriors) Falkner has created another young hero with a special power, in this case 'will-bending.' Realising he is able to influence people's actions through thought transference, bookish, bullied Jacob embarks on a grand scheme to steal the school takings following its annual fair. A life of crime, Jacob discovers, is not an easy thing to achieve particularly when his tendencies are towards good, rather than criminal, deeds. Perhaps for this reason Jacob's motives for seriously considering a life of crime are not totally convincing and, as if to compensate, there are a few too many other plot strands (even Jacob says to the reader: You might have thought, with all this other stuff going on, that I had forgotten about my new career as a super-criminal). There are a couple of unfortunate ethnic slurs (Frau Blüchner, built like a Panzer tank and Emilio, handsome and Spanish and as thick as two short planks) which add a somewhat sour note to the overall light and humorous tone of the story. Despite these shortfalls there's plenty going for this book: its snappy pace and character conflicts will garner it a wide audience. Presenting, as it does, a largely positive view of the power of words it should also receive the approbation of adults. Like many young teens, Jacob feels different: he’s a loner who finds refuge in the library, his family can’t afford the usual teen trappings and the school bully literally has his number. And Jacob has just learned he has the power of mind-control (a tool particularly scary in the hands of an intermediate-school boy). Dubbing himself Super Freak, he finds the courage in this new-found gift to take control of his fortunes. His challenge is whether to use if for good or evil. Ultimately, by embracing his differences and performing simple acts of kindness, Jacob gains friends and learns that it doesn’t take super powers to be a hero. Super Freak was a Junior Fiction finalist in the 2006 New Zealand Post Book Awards. It earned its place there with a well-crafted plot, credible characters and a setting relevant to its target audience. Boys 8 to 14 will relate to Jacob’s conflicts and find hope in their resolutions. The writing is entertaining and respectful to young readers, with a sophistication that will appeal to parents, as well. My review bookstack has just hit 20 new unread titles. So today the discipline starts. And I chose a good book to begin with. Before reading The Real Thing another book in what could loosely be called the Glenfield High series by this author, I had never heard of Brian Falkner. Now a websurf shows that he is one of New Zealand top young authors for young adults, and Walker Books released his titles into the Australian market just before Christmas last year. I received my copy in a package of reading for the Victorian Premier’s Reading Challenge. It looked like The Super Freak was the second title in the series, so I left it for awhile. But I should know better than to trust publisher’s blurbs. In the last few chapters I noticed where the action of the two books overlapped, and Freak should have been first. But it doesn’t matter. Suddenly Jacob starts to take control of his world. The English teacher sets an essay topic on knickers. The PE teacher lets his failure go unnoticed. With this new power, Jacob can do anything. A super-criminal is born. Months are spent planning, rehearsing and arranging his heist, robbing the school fete. Along the way he makes friends, discovers he is not alone, and even bests the bully. I can’t say much more without taking away the excitement of the story. This book was surprisingly good. It arrived without fanfare. I had bought copies for the library just to keep new and fresh material available for the younger students. However, I will be promoting them enthusiastically from now on, especially for those year 7 boys who really can’t be bothered with something complex. My exposure to the literature of New Zealand has up to this point been quite limited. Thanks to the Lord of the Rings films, I've seen plenty of the scenery and found that to be very impressive. Thanks to friends I have also been exposed to their rugby teams, which are also very impressive and their music which, quite frankly, isn't. But just as the scenery from the films prompted a friend to visit the country, so a first taste of their writing has encouraged me to seek out more. 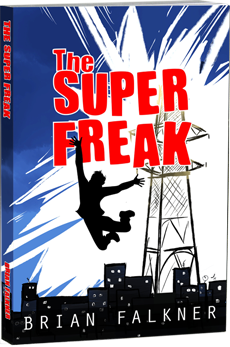 The Super Freak is the story of Jacob John Smith, who is a bit of a loner thanks to being forced to move schools several times because of his father's job. Not trusting in people, he loses himself in books as he can rely on them to always be there. But then, a couple of things happen to Jacob John Smith that he didn't expect; he makes a couple of good friends and he discovers that he has the power to control other people by thought. Unfortunately, whilst doing so, he comes to the attention of Blocker, the class bully. 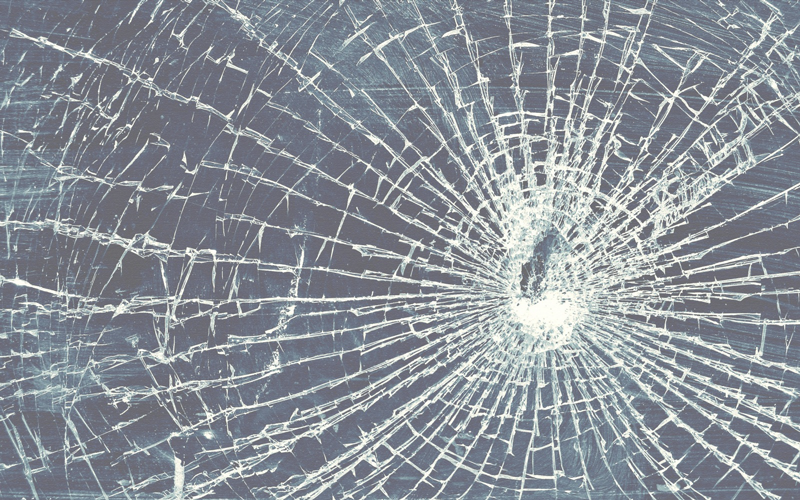 Without really doing anything wrong, Jacob John Smith seems to get into trouble and even when he does something right, the praise never seems to come his way. But now he has the power to make people think and do what he wants them to do and he has a plan of how best to take advantage of it. We get to follow Jacob John Smith as he deals with all the pressures that come with being a teenager and being at school. He has to deal with bullies, he has to make friends and he has to summon up the nerve to ask Erica to go out with him. On top of this, he has to deal with his super power; testing its limits and deciding whether using it at all is the right thing to do. There's a lot going on here, things that anyone in Jacob John Smith's position will be able to relate to. Whilst many of us may not be able to understand his loneliness after being moved around so much by his parents, pretty much everything else is a very common experience for pretty much everyone. This helps keep the story seeming real and you'll find yourself wishing you had a power like Jacob John Smith's and could make teachers write rude words on the blackboard like he did. This makes the book the perfect read for younger readers. There's always something going on and Jacob John Smith has the same interests as many people his age will and I'm sure that any teenager who suddenly discovered he had a super power would be inclined to test its limits and find some way of taking advantage of it. As a character he seemed very real in the way he acted and thought, especially at one point where he just had a random thought in a certain situation that summed up not just the character, but people of that age perfectly. It has another bonus in that it's very simply written, which makes it easy to read and for those not yet confident enough to read for themselves, there's plenty going on to make it a fairly decent story to have read to them. Brian Falkner also manages to write in a way that will appeal to parents who may be looking for a book to buy for children. Jacob John Smith has an interest in books and words, so whilst it's a simply written story, there are a few words used that will stretch the vocabulary and some of them are uncommon enough that even adults may learn something. To assist with understanding, there's a nice little glossary at the end of some of the trickier words presented in Jacob John Smith's voice, which I thought was a nice touch. If there is one down side to the story, it's that it does seem to tail off a little towards the end. This is a common problem with books like this in that once all the excitement is done with, there has to be something so the book doesn't just stop. Frequently, the ending after that point does come as a let down and the same is true here. The problem is more with the type of story than it is with the author, who has done a superb job with the characters and the story here. However, this doesn't mean that what has gone before isn't worth a look and for anyone who can read confidently, this is a great book. The story is fun and simple and it has the additional bonus of helping with vocabulary. Some of the words may be a little advanced for readers who are only just reading alone and it may be just a touch childish for teenagers, but for anyone in between these two groups, it's certainly worth a look.